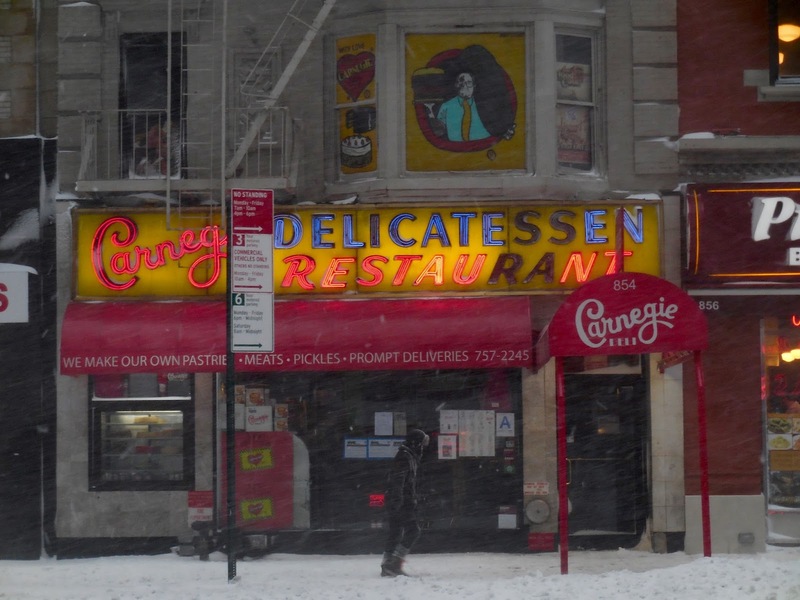 Is the shuttered Carnegie Deli coming back? 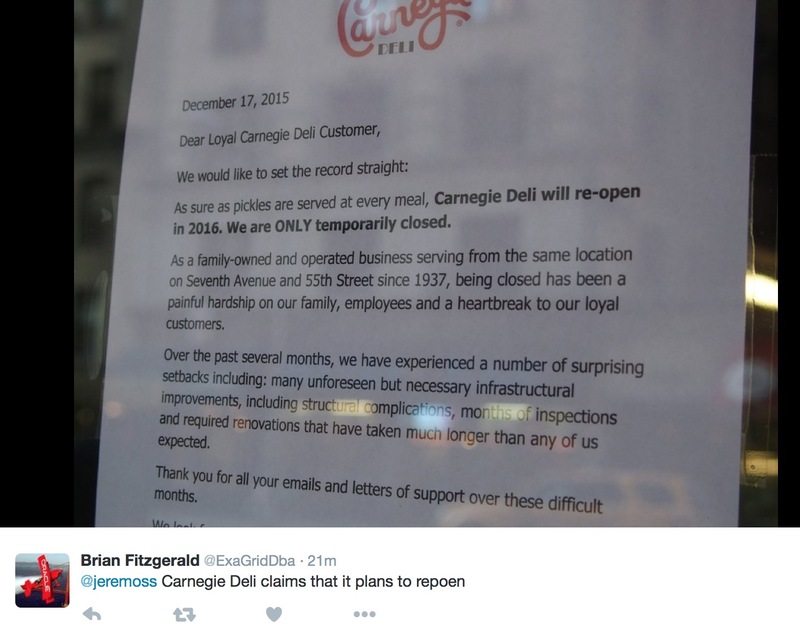 "We would like to set the record straight," begins the December 17 letter posted in the window, "Carnegie Deli will reopen in 2016. We are ONLY temporarily closed." It continues: "being closed has been a painful hardship on our family, employees and a heartbreak to our loyal customers. Over the past several months, we have experienced a number of surprise setbacks including: many unforeseen structural complications, months of inspections, and required renovations that have taken much longer than any of us expected." Shuttered by the City last April when a possible illegal gas hookup was discovered, right after the Second Avenue explosion, the Carnegie deli has been closed since. 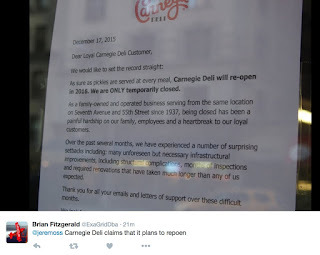 As Ted Merwin wrote in the Post, "The loss of the Carnegie would be an outsized one for New York." It's been here since 1937. Is it really going to reopen? I would love to go back there. The tourists will love it, and it will be good for the image of New York deli food. I love your blog Jeremiah, I am on the west coast now after living my entire life in NYC. It lost its appeal to me and most likely I wont go east of the Mississippi ever again. Disagree with you on Carnegie deli though. Food was always mediocre and it just was not that great of a place. Its like what a visitor to NYC would imagine a nyc deli to be like but its not. Hey dont know if you ever are in Phoenix (its where I live) but this city does a good job of not erasing old school shops and stores and facades. Like SF they do a great job of merging. We have an excellent late night pizza spot in downtown that is in the building of an old department store. Signs and all still remain.